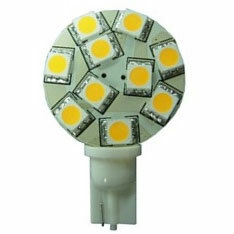 10 SMD 921 LED bulb. 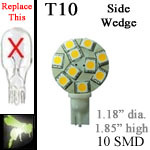 T10 wedge base (side entry wedge) LED replacement bulb. 12 volt LED to illuminate your journey through the inky depths. This LED is able to function on an input of 10-30 volts DC.